Click on any available software you require and then click on the Install button at the bottom of the window. 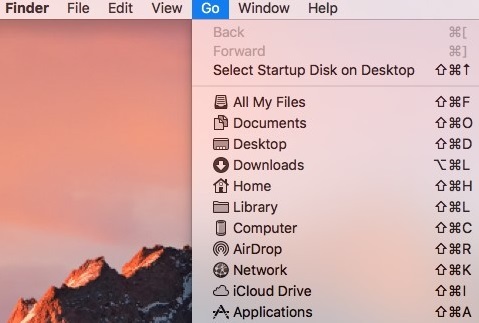 You can also uninstall software if required, clicking on the Installed Software tab at the top of the window will show installed software. Here click on the software to uninstall and then click on the Uninstall button. You will only be able to install or uninstall specific software allowed for your department. For more details on installing programs on your staff computer, see our staff workstation page. 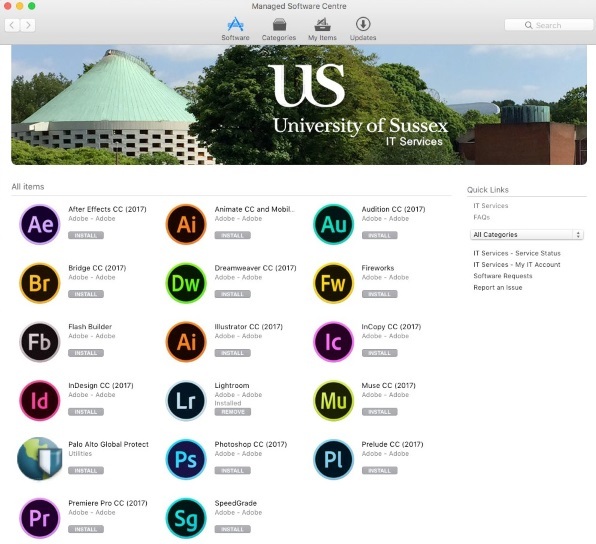 Staff and students with a managed mac can install a range of optional software on demand. 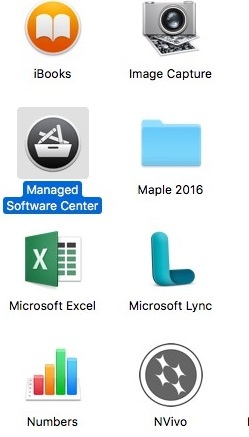 The software is provided by an internal app store called the Managed Software Center (MSC). complete, any additional software advertised to your school/group will be displayed under the software tab.